send 5 digit zip code. It's magic. 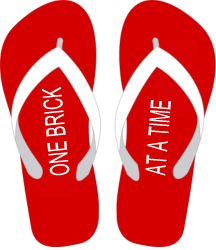 Brick cruncher will calculate the approximate profit shares "bricks" earned when selling, buying or renting. This is accomplished through the LEO℠ platform which powers Dorothy.com℠. For Sellers and Landlords simply click on the zip code of the property you are looking to sell or rent. For Buyers, click on the zip code that is closest to where you are looking to buy. Sell your home by choosing between 3 listing programs. Gold Plan - Full Service, full commission. Silver Plan - Full Service, Buy-Down the commission by paying a small fee up front. Bronze Plan - Flat Fee, traditional flat fee. Use the Brick Tracker to Calculate your profit sharing. Dorothy.com is part of what Thomas Friedman called the sharing economy. We share our success with you, our members (buyers, sellers and landlords). Our members receive profi sharing based on the dollars paid by our members to Dorothy.com. On an annual basis a certain percentage of profits are shared with our members. There is a Gold Plan, a Silver Plan,and a Bronze Plan. The Gold Plan earns our members the maximum bricks while the Bronze Plan earns them the least. 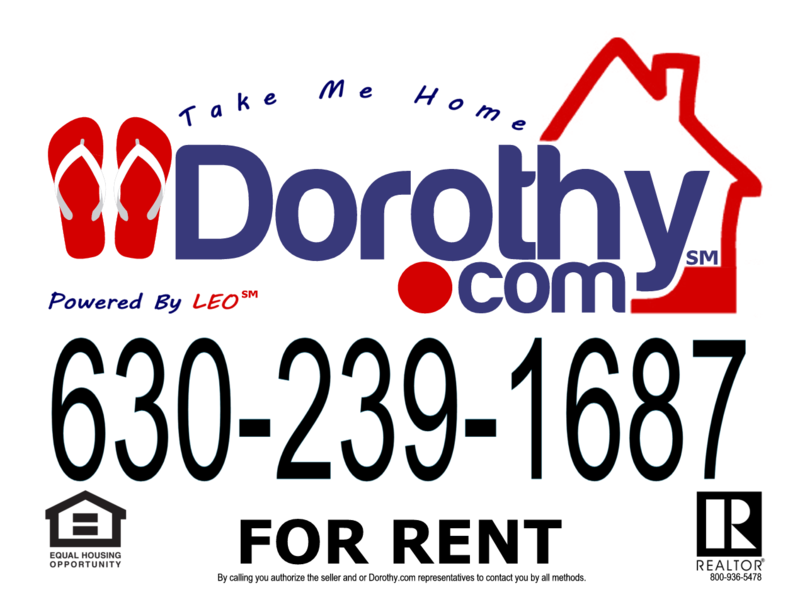 Use of the term "member" or "membership" does not convey any eligibility rights for ownership rights in Dorothy.com. Governments and or REALTOR® Associations may or may not limit our ability to share with our members in any or all sharing methods. Dorothy.com reserves the right to modify and/or end membership. The member agent represents the seller. The call center is available for assistance. Features the same virtual tour if there are 5 or more pictures provided by the seller. The Virtual Tour includes pictures, maps, walk scores, school information, area information, as well as back-ground music by Chuck Lazarus. Charles Lazarus is known for his distinctive blend of lounge/exotica and funk fired jazz. Social sharing is the dominant way people discover information. Share the Virtual Tour with friends and prospects. Calls about a seller's property are answered by a member agent. A member agent also sets up showings and presents offers. The seller receives calls directly from buyer agents and buyers. How do these leads get to the seller? What if a prospect calls on a Saturday night for a Sunday showing or any day after business hours? We have a great solution that helps to ensure that sellers will not miss a call. It is our cloud based system called LEO. Your listing on Realtor.com and other web sites will list our 800# to get more information on a property. When a prospect or buyer's agent calls that number they can enter your MLS# (which is given on all of these sites) and be forwarded directly to seller's phone number. An e-mail is also sent to the seller to confirm the caller's phone number, listed property address, date, and time. Dorothy.com is a member of the National Association of REALTORS® and the appropriate state and or local Association of REALTORS®. Your property is listed on Realtor.com. Realtor.com has 20% more listings than Zillow. Which means if you’re not searching realtor.com, you are limiting your options. MLS listing data is uploaded by the MLS to REALTOR.com. REALTOR.com provides an hourly update/upload of millions of homes spanning all 50 states and thousands of cities and towns representing over 800 MLS's. Buyers and renters from all over the world know about REALTOR.com. So, whether your buyer/renter is in Miami, Chicago, Tampa or Hong Kong - the buyer/renter will find your property on REALTOR.com®. Each real estate listing provides comprehensive details about the property so that the buyer/renter can have a clear picture of what features and amenities are included. National Association of REALTORS® ("NAR") does not allow seller contact information, only the Listing REALTORS® contact information. REALTOR.com and the REALTOR MLS upload listing data and pictures to hundreds of web sites. Dorothy.com works with more than 40 national channel partners. The combined coverage for the whole network is more than 300 web sites. Adds appear on REALTOR® IDX internet sites. IDX stands for ""Internet Data Exchange" commonly called broker reciprocity. Your property ad will be placed on all IDX real estate participant web sites. Each office is often independently owned and operated. You should always ask if a REALTOR® is an IDX participant. "Internet Data Exchange" ("IDX") enables real estate offices to directly download and display property listings from the Multiple Listing Service ("MLS"), in their local area, to their individual company web sites. IDX access eligibility is dependent on local MLS rules and are subject to change. 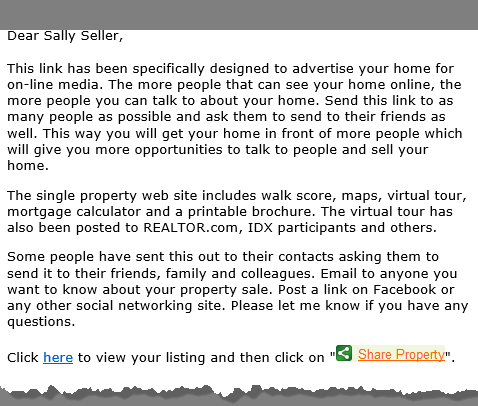 Post virtual tour to seller's Facebook. A single property web site is provided. Single property web sites are 100% dedicated to one goal - promoting your property. You can refer people to the site to view your property. The eFlyer has been specifically designed to advertise your home for online media. The more people that can see your home online, the more people you can talk to about your home. The eFlyer can be sent to friends, family, and colleagues. This allows for more opportunities to sell your home. This is an example of the eFlyer we will send you. A QR Property Brochure that routes calls to your member agent is provided. A QR Property Brochure that routes calls to the seller is provided. The member agent will show the property and will request feedback on the showing. LEO is used to route calls directly to the seller to schedule a showing. The seller will show the property to a potential buyer and/or buyer's broker. LEO will electronically request feedback from the buyer's agent. LEO emails the callers cell phone number a link to the email virtual tour. Your personal phone number is kept confidential. You are immediately alerted about every call via email and virtual call transfer to your phone. An e-mail is sent to you with the date, time, property address, and phone number of the caller. GET LEADS WHILE THEY'RE HOT, so you can immediately contact them. Available to all real estate sellers; no internet connection required. Text is sent to caller with link to Single Property Website. The member agent will take up to 25 pictures. Seller submits up to 25 pictures with the 15 Minute Listing. 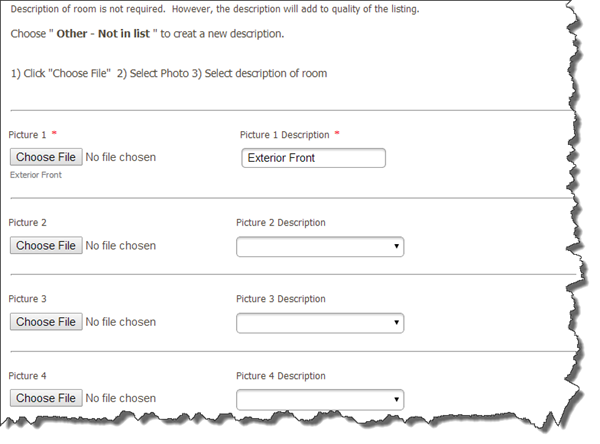 All pictures on the REALTOR® MLS are uploaded from the MLS to REALTOR.com. The member agent hosts the open house. Open houses are posted to the REALTOR® MLS and REALTOR.com by the member agent. The open house is hosted by the seller. The call center will post Open houses to the REALTOR® MLS and REALTOR.com. Unlimited MLS changes include multiple changes at the same time (including, price, commission, remarks, pictures, and/or features). The REALTOR.com site is updated from the REALTOR® MLS. Member agent support is provided in person, on the phone, and other forms of communication. The call center provides chat, over the phone and e-mail consultation as part of the package. 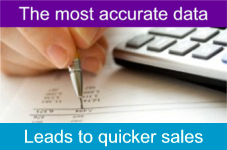 The member agent support is available to assist with viewing data from past sales in person. Licensed appraisers and are trained to establish real property value. The seller determines value. The best option is always to hire a licensed appraiser to determine value. Licensed appraisers are trained to establish real property value. We offer the following services: Accept delivery of and present to the client offers and counteroffers to buy, sell, or lease the client's property or the property the client seeks to purchase or lease. Assist the client in developing, communicating, negotiating, and presenting offers, counteroffers, and notices that relate to the offers and counteroffers until a lease or purchase agreement is signed and all contingencies are satisfied or waived. Answer the client's questions relating to the offers, counteroffers, notices, and contingencies. There are no upfront fees with the Full Service listing. The Full Service Buy-Down does have a sign-up fee to buy down the total commission. The Flat Fee plan has a sign-up fee and only the commission to the buyer's broker. If there is no buyer's broker, then there are no commissions due. The member agent visits the seller to collect the information and take pictures of the property. The seller uses the 15 minute ClicknList tool to submit the listing information. ClicknList is the most complete MLS data collection tool in the industry for posting "For Sale" and/or "For Rent". Select, view and complete our 15 minute ClicknList profile sheet. Full service for 6 months. If the sellers are not completely satisfied for any reason, then the seller can cancel this listing within the first 30 days and we will refund the Bronze Plan payment. To qualify for the 30 Day Guarantee, the seller must provide a minimum of 25 pictures of property and order the QR Yard Sign before contract acceptance. Pictures and the QR Yard Sign increase the marketability of the property. If the seller does not double their showings within the first 30 days the seller can cancel the listing at that time and we will refund the Silver Plan payment. To qualify for the double showings guarantee, the seller must provide 25 pictures of property and order the QR Yard Sign before Contract Acceptance. After the first 30 days seller can still get 100% of the seller's Bronze Plan payment back with our Top agent Referral program. If the seller is unable to sell their home through our service and decides that they would be interested in hiring one of the best agents (why not get the best?) in their local area, we can help. We will identify who the current top agents are. We will make those introductions for you. If you decide to hire one of these a gents then we will refund your Bronze Plan payment at closing. You may request that we refer your listing with us to a Top Agent before the Expiration Date. We will identify who the current top agents are objectively by mls sales data. The Top agent will pay Dorothy.com a 25% referral fee at Closing. We will make the introduction to the Top agent. If you decide to hire one of these Top agents then we will refund your Flat Fee Plan or Monthly Fee Plan payment at closing. Your Flat Fee Plan or Monthly Fee Plan payment is returned to you once you close on the sale of your property and we receive the referral fee from the Top agent. You will loose any patronage earned on this transaction. The seller may cancel at any time. And, the seller may choose to use our Anytime Money Back Gaurantee. Listing Agreement lasts 6 months. Listing Agreement can be up to 12 months. Pay less, earn less profit shares. Gold Plan - 5% total commission. Commission is split between listing agent (2.5%) and buyer's agent (2.5%). No upfront fees. Earn highest profit shares. Silver Plan - 4% total commission. Commission is split between listing agent (1.5%) and buyer's agent (2.5%). $295 upfront buy down fee. Earn high profit shares. Bronze Plan - 2.5% total commission. 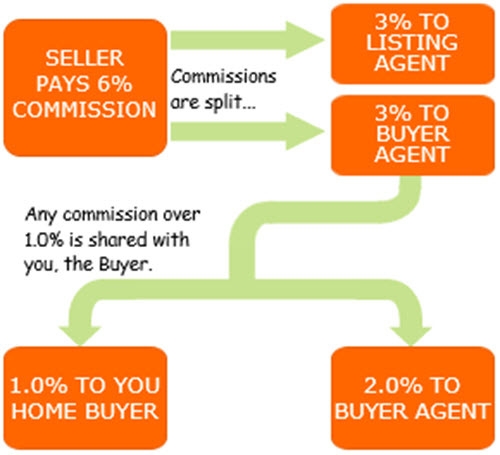 Commission is split between listing agent (0%) and buyer's agent (2.5%). $495 upfront flat fee. Earn profit shares. We can represent you in the purchase of any REALTOR® listed MLS property. The Listing agent pays us a fee for representing you as a buyer's agent in the transaction. The Orange Plan is a full service buyer representation. Use the Green Plan , if you are willing to do the leg work, then we actually pay you to allow us to represent you in the purchase of REALTOR® listed properties. Our members receive profit sharing based on the dollars paid by our members to Dorothy.com. On an annual basis a certain percentage of profits are shared with our members. There is an Orange Plan and a Green Plan. The Orange Plan allows members the chance to earn maximum bricks. The full service plan does not have rebates. You are assigned a Member Agent and awarded bricks which allows you to participate in profit sharing. Request our Home buyer Rebate Disclosure Cards before calling about or visiting a property. The member agent represents the buyer. 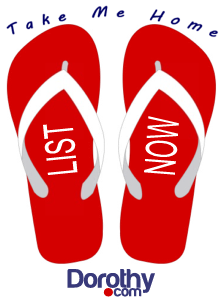 Receiving e-mail alerts that match your property search criteria. You let us know if you want the criteria changed. Buyer questions are answered by a Dorothy.com member agent. The member agent also sets up showings and presents offers to the sellers on behalf of the buyer. The buyer receives calls directly from seller agents and sellers. The buyer calls directly to a seller's agent to set up showings and ask questions. Additional assistance is provided by the call center. All offers and counter offers are presented by the call center. The member agent will assist the Buyer in providing a prospective Lender with required information. Typically, we advise buyers to be pre-approved before making an offer on a property. The buyer provides a prospective lender with information required. The Green Plan requires a buyer be pre-approved before making an offer on a property. Getting pre-approved is the next step after pre-qualified, and it tends to be much more involved. You'll complete an official mortgage application(and usually pay an application fee), and then supply the lender with the necessary documentation to perform an extensive check on your financial background and current credit rating. (Typically at this stage, you will not have found a house yet, so any reference to "property" on the application will be left blank). From this, the lender can tell you the specific mortgage amount for which you are approved. You'll also have a better idea of the interest rate you will be charged on the loan and, in some cases, you might be able to lock-in a specific rate. With pre-approval, you will receive a conditional commitment in writing for an exact loan amount, allowing you to look for a home at or below that price level. Naturally, this puts you at an advantage when dealing with a potential seller, as he or she will know you're one step closer to obtaining an actual mortgage. Because it's a quick procedure, and based only on the information you provide to the lender, your pre-qualified amount is not a sure thing; it's just the amount for which you might expect to be approved. For this reason, a pre-qualified buyer doesn't carry the same weight as a pre-approved buyer who has been more thoroughly investigated. The member agent will assist the buyer in identifying a prospective attorney to review purchase contracts. Since a real estate sale is typically the largest transaction in a person's lifetime we advise you have an attorney on your side. Your member agent is qualified to fill in the blanks of a purchase contract. The buyer will identify a prospective attorney to review purchase contracts. The Green Plan requires that a buyer identify an attorney to review documents. 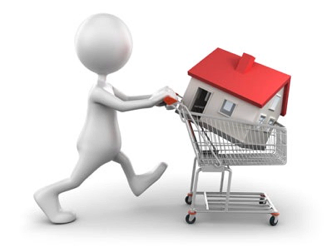 Your member agent will assist the buyer in identifying all tasks are completed when making a purchase. Confirm (with your attorney's assistance if needed) all tasks have been completed before making an offer. 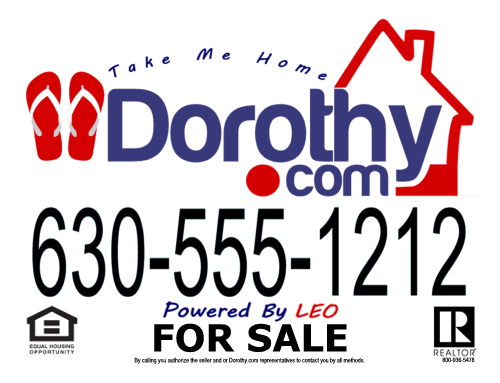 In order to satisfy the Exclusive buyer Agency Agreement that the buyer has signed with Dorothy.com, the Attorney Checklist must be submitted before making an offer on a property. All questions should be answered clearly to be ready to make an offer. The member agent will assist the buyer in identifying sources to determine property tax increases. Quite often there are significant property tax increases if the current sellers have been in the property for a number of years. The buyer will identify sources to determine property tax increases. The member agent will assist the buyer in identifying municipal services. The buyer will identify municipal services. Your member agent will assist the buyer in identifying sources to determine the prospects of zoning changes. The buyer will identify sources to determine the prospects of zoning changes. Radon is a naturally occurring radioactive gas that, when it has accumulated in a building in sufficient quantities, may present health risks to persons who are exposed to it over time. Level of radon that exceed federal and state guidelines have been found in buildings. The member agent will require the sellers to provide a written disclosure about radon gas. The buyer will be required to get a written disclosure about radon gas. Get an Energy Gauge rating. Energy ratings give homebuyers a market-place yardstick that measures the benefits of energy efficiency. You get detailed estimates of how much your energy use will cost. Energy ratings give you clear and specific information that let you compare the energy use of similar homes. Two homes might look similar, but one may be superior in energy efficiency. Your member agent will assist in identifying a certified rater in your area. The buyer will find a Certified Rater. Real estate licensees and sellers are being held to ever-higher standards of property condition disclosure in residential transactions. Real estate licensees and sellers involved in a residential transaction need to disclose "all known facts that materially affect the value of residential real property and are not readily observable to the buyer." The law is intended to ensure a standard of quality that protects consumers and builds their confidence when purchasing properties. The member agent requests the property disclosure from the listing agent before an offer is made. The buyer requests the property disclosure from the listing agent before an offer is made. The Good Faith Estimate ("GFE") must be given to the borrower at the time of loan application or within three business days after the receipt of the loan application. It itemizes estimated settlement costs. Effective January 1, 2010, the form was changed from a simple one-page form to a more informative three-page document. Among other things, the GFE now has certain tolerances for accuracy. Some of the costs quoted may not increase at settlement and other costs may increase no more than ten percent. The member agent assists the lender by providing information to the Lender. The buyer provides information to the lender. The Department of Environmental Protection has established Coastal Construction Control Lines ("CCCL") on a county basis along the sandy beaches of the Atlantic Ocean, the Gulf of Mexico, and the Florida Straits. The lines define the portions of the beach-dune systems that are subject to severe fluctuations based on a 100-year storm surge, storm waves, or other predictable weather conditions. If a property is partly seaward of the CCCL, the seller must give the buyer a written disclosure statement, either as part of the contract or on a separate form at or before closing. The buyer may waive this requirement, but the waiver must be in writing. The seller's agent will provide disclosure to the member agent. The seller's agent will provide the disclosure to the buyer. Open houses can be attended at any time. At the sign-in be sure to identify Dorothy.com as your agent. You should only attend open houses after requesting Broker Disclosure Cards from Dorothy.com. You call us for your cards. When attending, provide a Broker Disclosure Card to the agent on duty and sign in with Dorothy.com as the buyer's broker. Homeowners' association disclosure. This disclosure rider should be given to the buyer if there is a homeowners' association that can place a lien on the property for nonpayment of homeowners' dues or has restrictive covenants regulating the use and occupancy of the property. If the licensee does not provide the disclosure or if the contract does not have the required notice, the buyer may cancel the contract within three days or before closing, whichever comes first. Condominium rider. Because the printed clauses of the contract do not contain any specific provisions relating to the sale and purchase of condominium units, this rider should be attached to the contract. It addresses the condominium association's approval of the buyer, payment of assessments and special assessments, and delivery of condominium documents. Member agent will facilitate the timely delivery of Association documents to the buyer. The buyer will request the association documents. The member agent support is provided in person, on the phone, and other forms of communication. The call center provides chat, over the phone, and e-mail consultation as part of the package. The member agent and call center will deal honestly and fairly; will account for all funds; will use skill, care, and diligence in the transaction; will disclose all known facts that materially affect the value of the residential property which are not readily observable to the buyer; will present all offers and counteroffers in a timely manner unless directed otherwise in writing; and will have limited confidentiality with Seller unless waived in writing. The member agent support in person is available to assist with viewing data from past sales. Member agents are not licensed appraisers. The buyer determines value and works with the call center. Under the Foreign Investment in Real Property Tax Act of 1980 ("FIRPTA"), when a foreign person sells real property, the purchaser may be required to withhold 10 percent of the amount realized (which is usually the sales price). The buyer must find out if the seller is a foreign person, and might wish to get an affidavit of U.S. citizenship if in doubt. If the buyer fails to withhold, he or she may be held liable for the taxes on the sale. One of the most common exceptions to FIRPTA withholding is that the buyer is not required to withhold tax when purchasing real estate for use as his home and the purchase price is not more than $300,000. Your member agent will assist in identifying if a seller is foreign. The buyer will identify if a seller is foreign. The member agent will work with Lender to determine the financial exposure and the needed contract addendums. The buyer will work with lender to determine the financial exposure. The call center will provide needed contract addendums. An FHA insured loan is a US Federal Housing Administration mortgage insurance backed mortgage loan which is provided by a FHA-approved lender. FHA insured loans are a type of federal assistance and have historically allowed lower income Americans to borrow money for the purchase of a home that they would not otherwise be able to afford. The	buyer will work with lender to determine the financial exposure. The Call Center will provide needed contract addendums. There are no upfront fees with the Full Service Plan. The Buyer Rebate does have a sign-up fee to begin visiting properties. Lead poisoning causes permanent neurological damage and is particularly toxic to children and pregnant women. The effects include IQ reduction, learning disabilities, hyperactivity, and behavioral problems. Household dust from lead-based paint is the most common cause of poisoning. In 1978, the Consumer Product Safety Commission banned the use of lead-based paint for residential use. The member agent will work with listing agent to receive the Lead Based Paint Disclosure and Pamphlet. The call center will work with listing agent to receive the Lead Based Paint Disclosure and Pamphlet. Program options may vary by state, county, state and or zip code. Rent your property by choosing between 2 listing programs. The Blue Plan is our traditional full service rental offering. The Red Plan is our flat fee rental plan which saves between 50% and 100% of the commission while advertising your property on the REALTOR® MLS, REALTOR.com, C21, ReMax and hundreds of web sites. There is a Blue Plan and a Red Plan. The Blue Plan allows members the chance to earn maximum bricks. The member agent represents the landlord. 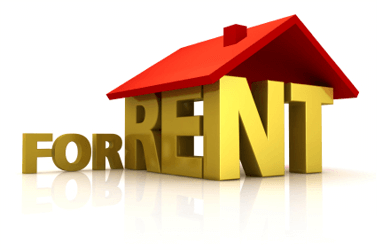 Calls about a landlords's property are answered by a member agent. A member agent also sets up showings and presents offers. The landlord receives calls directly from lessee's agent or lessees. How do these leads get to the landlord? What if a prospect calls on a Saturday night for a Sunday showing or any day after business hours? We have a great solution that helps to ensure that landlords will not miss a call. It is our cloud based sytsem called LEO. Your listing on Realtor.com and other web sites will list our 800# to get more information on a property. When a prospect or lessee's agent calls that number they can enter your MLS# (which is given on all these sites) and be forwarded directly to the landlord's phone number. An e-mail is also sent to the landlord to confirm the caller's phone number, listed property address, date and time. LEO is used to route calls directly to the landlord to schedule a showing. 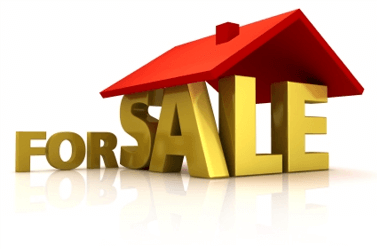 The seller will show the property to a potential buyer and/or buyer's broker. LEO will electronically request feedback from the buyer's agent. LEO emails the callers cell phone number a link to the email virtual tour. Landlord submits up to 25 pictures with the 15 Minute Listing. The open house is hosted by the landlord. The call center will post open houses to the REALTOR® MLS and REALTOR.com. Member agent support in person is available to assist with viewing data from past rentals. The Flat Fee plan has a sign-up fee and only the commission to the lessee's agent. If there is no lessee's agent, then there are no commissions due. The member agent will visit the landlord to collect the information and take pictures of the property. The landlord uses the 15 minute ClicknList tool to submit the listing information. Listing Agreement can be up 12 months. Provide an outstanding Member experience while making real property transactions using Dorothy.comSM with the goal of generating a recurring revenue for the life of each Member. Earn loyalty by providing a continuous learning environment. Build value for and by Members through continuous improvement of Dorothy.com. Encourage Members to give back to their communities. Program options may vary by country, state, county, city, subdivision and or zip code.